Glasgow Warriors' postponed European Rugby Champions Cup Pool 3 match against Racing 92 has been rearranged for Saturday 9 January at 13:00 GMT. The game was originally scheduled for 14 November at Stade Yves-du-Manoir but was called off following the Paris attacks the night before. Warriors lost at home to Northampton Saints on 21 November and face Scarlets in their next pool match on Saturday. Racing 92 host pool leaders Northampton on Saturday. 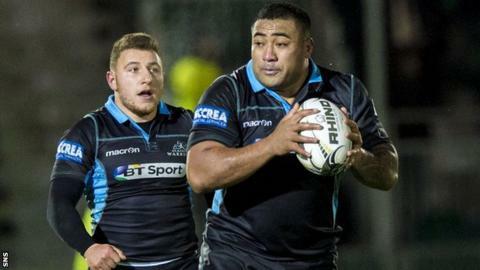 Warriors' home Pro12 match against Leinster last weekend was postponed because of rain and a new date has yet to be announced.